I love the bright red-ish purple colour of beetroots! 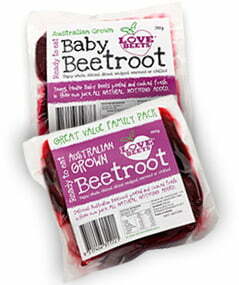 It comes from the anthocyanins in the beetroots. These are compounds that occur naturally in plant foods like beetroot as a protective mechanism against environmental stressors including UV light, cold temperatures & drought. 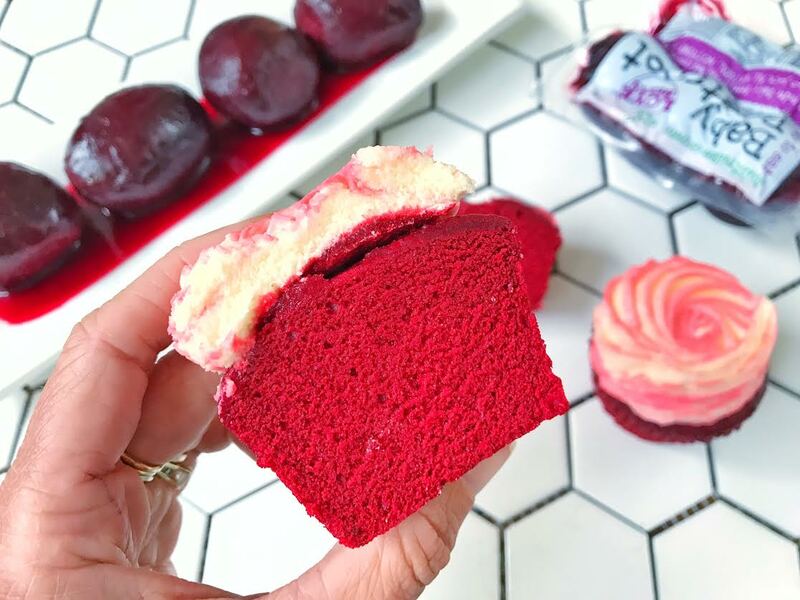 The anthocyanins in beetroot have antioxidant capacities that can help reduce your risk of cardiovascular disease, cognitive decline & cancer! They also help keep you looking youthful by keeping your skin & muscles healthy, can fight off some cancers & can even kill harmful bacterial in our bodies! 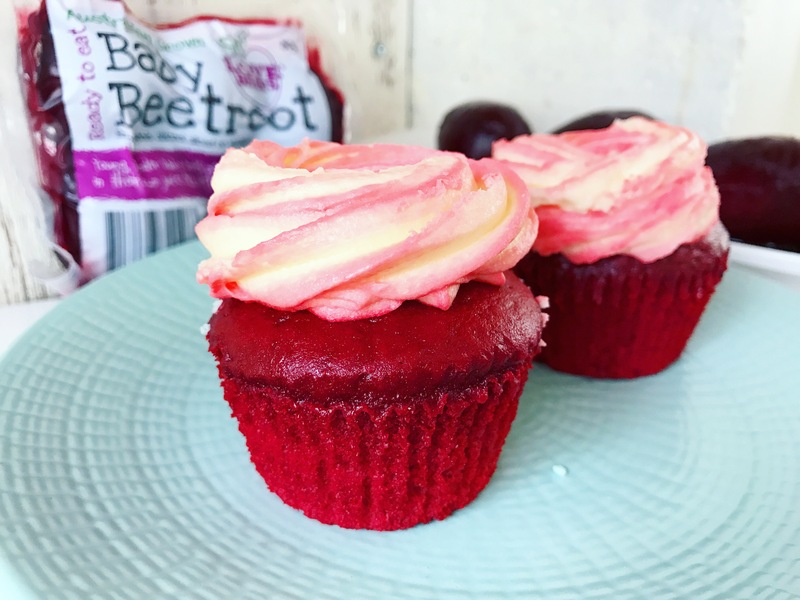 So here is a delicious muffin recipe that you can enjoy and gain all the amazing health benefits of anthocyanins in beetroots. Plus it’s also a great option for kids who need to get an extra hit of veggies. In a large bowl, mix the flour, baking powder & LSA. Set aside. Open pack of Love Beets cooked baby beetroots and place baby beets and beetroot juice into a high speed blender (I use a Vitamix). Add lemon juice, cashews, milk, maple syrup, cacao, coconut oil, cinnamon & vanilla. Blend until a smooth batter forms. Scoop beetroot batter out and add to dry ingredient bowl. Mix gently until completely combined. Spoon mixture into muffin molds. Remove from molds and allow to cool. Enjoy. What can i substitute for cashew so it’s nut free? Hi what did you use for the icing? I forgot to ask – what kind of icing did you end up topping them with? Thank you again! Yep! I have those 3 things on hand always so very easy to just grind them myself. Thank you so much! This looks like a fab recipe! I’m not familiar with the LSA mix – is this purchased this way or do you make the mix?